Summer is most definitely over now. We got our first rains, and it's starting to get dark noticeably earlier. 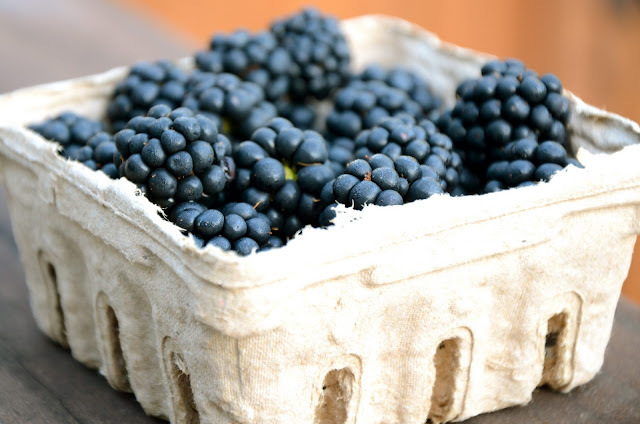 However, this is kind of an exciting time of year food-wise, when the end of the summer produce overlaps with the beginning of the fall produce, and you can have blackberry apple crisp, or choose between butternut squash and glorious heirloom tomatoes. In fact, we had our first butternut squash of the season last night, but we're still enjoying our tomatoes and fresh shellbeans. We thought we'd take advantage of this inter-season by doing some baking with the last of the season's blackberries, in a tribute to one of our favorite desserts of this summer - Smitten Kitchen's strawberry summer cake (originally Martha Stewart's). What made this cake great, and the reason why we made it over and over again this summer, was of course the pint of strawberries - but also the unexpected addition of barley flour. 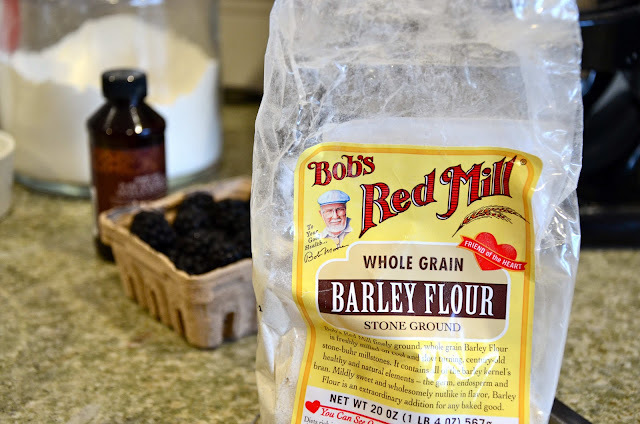 We had never baked with barley flour before, but it's a great thing. It has a very slight nutty flavor, and also lends a little bit of crunchy texture to the final product. 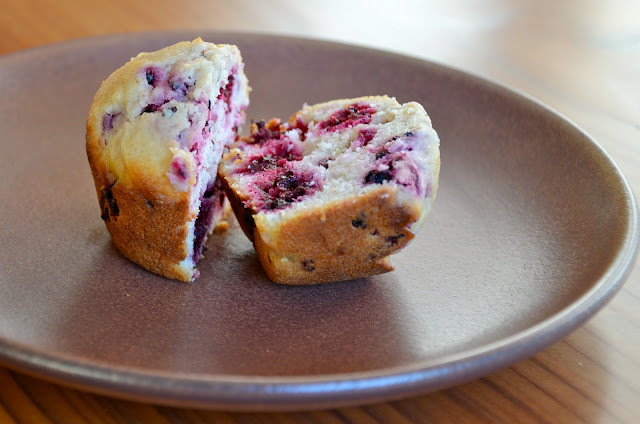 We decided that if it's good in strawberry cake, it must be good in blackberry muffins too - and guess what? We weren't wrong. Preheat the oven to 400 degrees. 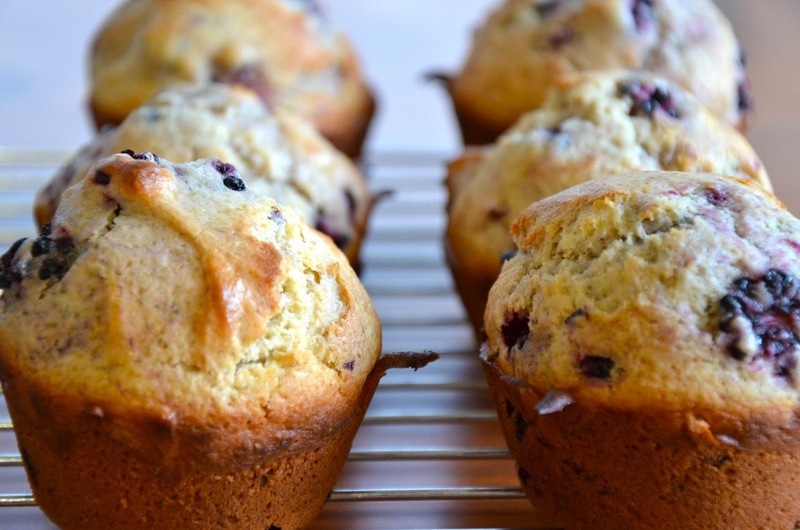 Spray your muffin tin with cooking oil (or butter them or line with paper - as you wish). Wash the blackberries and chop them into smaller pieces - halves or quarters, depending on the size of your berries (it's okay if they break up into their little druplets - and yes, I had to look at the Wikipedia article on blackberries to find out what those things were called). Set the berries aside. In a large bowl, combine the two flours with the baking powder and salt. Put the butter and vegetable oil in a separate medium bowl, then whisk in the sugar until well combined. Add the eggs, and stir well, then mix in the milk and vanilla. Pour the wet ingredients into the dry and fold until just combined. Fold in the blackberries, then spoon the batter into the prepared muffin tins (it wouldn't be a bad idea to sprinkle some turbinado sugar, or just regular sugar, on top - we didn't do so, but it's never a bad idea). 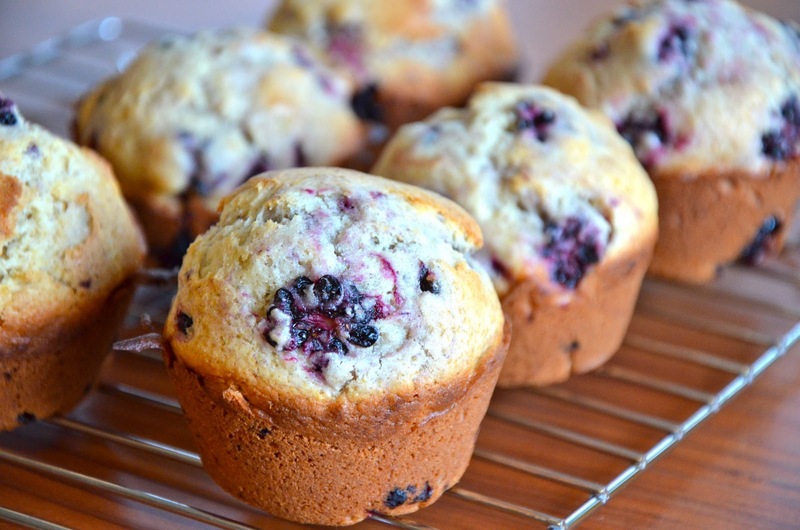 Bake until the muffins are lightly browned on top and a tester comes out clean - 15 to 18 minutes. Let them cool for at least five minutes in the tin before removing and letting them cool fully on a cooling rack.